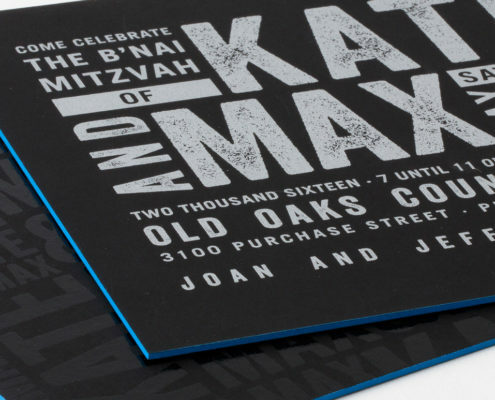 We teamed up with retailer Out of the Box in Rye Brook, New York to create this sparkling B’nai Mitzvah invitation. 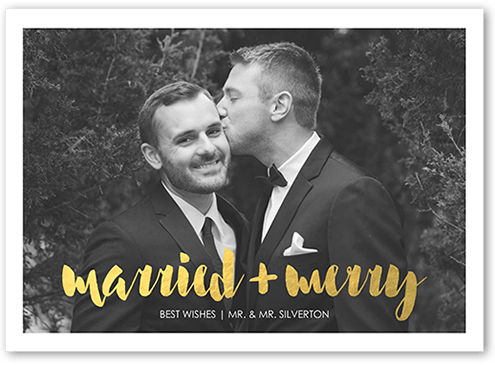 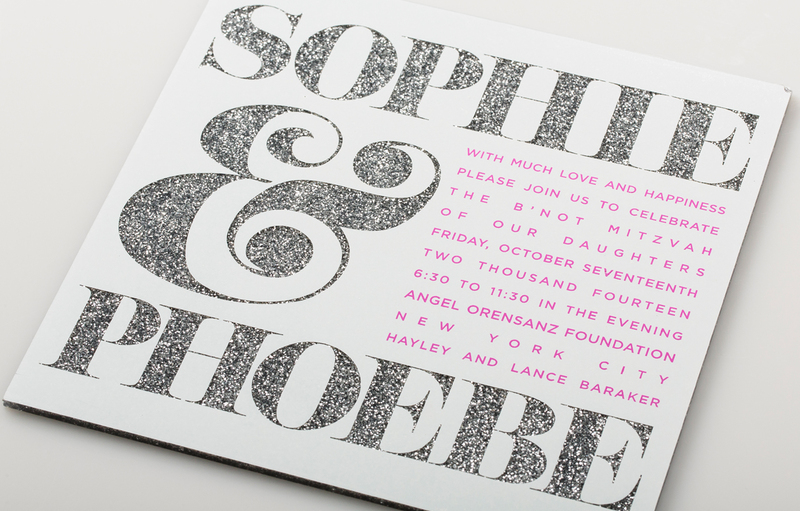 We customized a popular wedding invitation design and printed it on silver glitter acrylic. 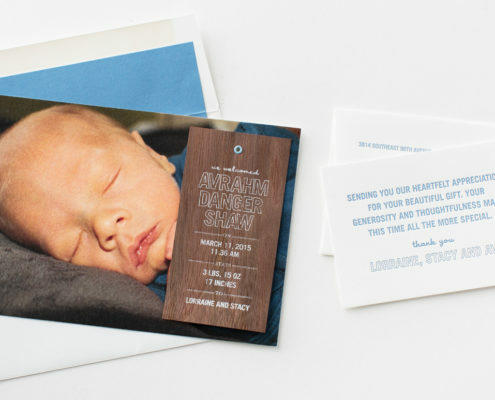 The result is a youthful, yet simple design with a touch of bling. 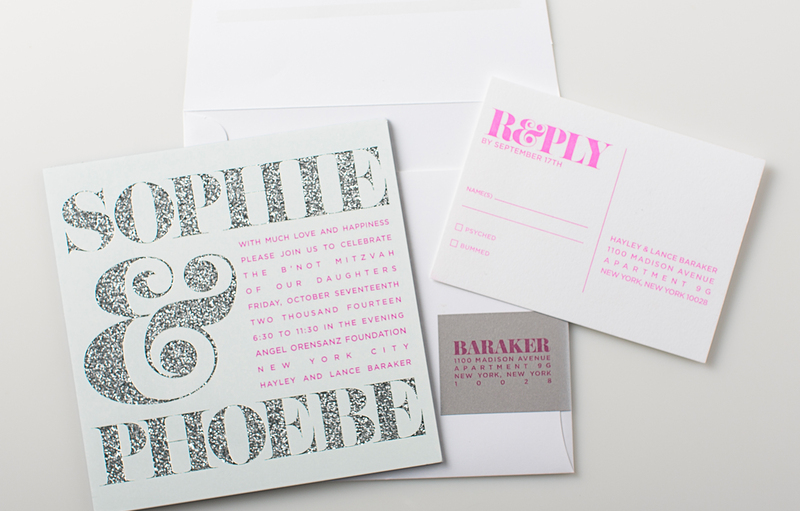 We loved seeing one of our most popular designs take on a brilliant new life for twins Sophie and Phoebe.